On 17 September 1835, Charles Darwin disembarked from H.M.S. Beagle in the Galápagos near Sappho Cove on Chatham Island (now known as Isla San Cristóbal). Among the first animals Darwin encountered was a bold, terrestrial mockingbird, similar to those he had seen previously in South America. Arguably, these birds had a greater influence than any other organism on the initial development of Darwin’s concept of Natural Selection. 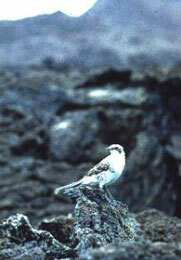 Subsequent exploration and research revealed the presence of 4 endemic, allopatric mockingbird species within the Galápagos archipelago. I invite you to explore this web site to learn more about Darwin’s mockingbirds.